Discussion in 'Grappling Technique' started by Bullheaded, Jan 8, 2013. Raising a dead thread ! I'm updating this thread because I have plenty more information and it's getting closer. I'm going to be visiting California again to see my family over there after 12 years. I'm going to stay for about 3 weeks, from the 12th of July to the 29th. Of course, a big part of the plan is to train as much as possible. From the 15th to the 17th I will be going to San Diego, I will be staying in a hostel. From the 20th to the 25th of July I will be staying in a hostel in San Francisco. The rest of the time I will be in Santa Clarita, L.A. California. I'm looking for some recommendations of gyms in these areas. Anybody who wants to hang out is more than welcome too. My English is pretty good (I teach English in fact, as a full time job). I'm also an MMA blogger and I obviously like to party just like anybody. This is obviously a two way proposition ! If in exchange you're looking to hang out with me in Paris, I'd love to help out as much as I can, get you a gym to train in and possibly a couch to sleep on. I'm starting to try to plan the trip more now, and I look forward to your answers. You are always welcome at my gym. I can make your introduction to other gyms in the area that I have a good relationship too. Great ! Thanks for the offer ! Any other place you can recommend in particular? I am from Utah, and live in vegas do I can help me with those two. IMO, the best gi school in utah, is one that doesn't even charge a mat fee. Really nice group of guys. I forgot my French, but if you want a food tour of the O.C. I am the man for le job. The San Francisco Bay Area has a lot of great gyms but you will likely keep yourself busy down in southern california. Gracie Academy Torrence, Atos Jiu Jitsu (Galvao's gym) and the Mendes Bros' place alone would take absolutely all of my time. Then there's the Ribeiro's place in San Diego (Jiu Jitsu University). Up here in the San Francisco Bay Area we've got Ralph Gracie, Cesar Gracie, AKA (San Jose, Milpitas and Sunnyvale) Guerrilla Jiu Jitsu (San Jose and Pleasanton) and Caio Terra's gym. Sandro Batata Jiu Jitsu is also here. There's a Gracie Humiata gym up in SF now that I don't know much about but that it's there. I live in the South Bay / Silicon Valley area but that's about as many gyms I can name off the top of my head at 12am. I've decided recently to visit California again to get back in touch with a part of my family over there. The last time I came was when I was 17, I'm 29 now. I'm planning on coming for about 3 weeks , in July. 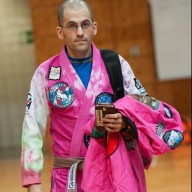 In this trip I'd like to train BJJ as much as possible also. I'm a blue belt I've been training for about 3 years and a half in both France and England. I'm clearly a hobbyist, I've never competed (got injured everytime I tried), but I'm nonetheless very passionate about it. I have no idea where to go in details and which gyms to visit so I'd take any recommendations of gyms, places or anything ! I should have a place to stay in L.A. but I plan on going to around a bit, possibly as far north as Utah and maybe also Vegas. As you may guess, I won't be able to afford huge fees (I'm quite scared at how much they might be TBH.) so the cheapest the better ! Hook me up Sherdoggers ! Stop by a Cesar Gracie affiliate while your going through Nor Cal. Cesar's main gym is in Pleasant Hill. Graciefighter.com has a list of affiliates but it's pretty outdated.... send me a message if your looking for affiliates in other cities. Thanks everybody for all the recommendations ! I'm certainly going to be busy in L.A. I'm thinking about doing a bit of a blog too. I'm sure it's never gonna be as cool as Christian Graugart's but maybe a few people would like to read about visiting some academies. I'm certainly gonna visit Xande's since it's fairly close to where my relatives are, but I'd certainly like to visit Dan's too. I loved Dan's instructionnal on the cross choke and it's definetly a part of my game I could improve ha ha! Why not Brentwood's too ! I have a very good memory of Santa Monica, it could be fun to train there and hang out around ! Why not for the food tour in O.C. that could be fun ! I'll try to visit Dave Camarillo's gym in the SF area, I've been in touch with Dave before, and I'm a big fan of his game. I'd love to visit either Cesar's or Ralph's but I'm afraid they might be expensive for visitors, am I wrong? Ice 9 cobra, what the name of that gym in Utah? Cheers ! Thanks to you two ! There is always Dan Camarillo's in Bakersfield if you decide to head north. Man, I had the same idea of trip to Cali and had to create an account juts to say this and maybe help you. I am planning on doing it in the end of the year when I graduate from college. I had the same idea on doing a little blog too about how is the training, the people and the places to go in each city. I'm from Brazil and beggining to gather information about how to do this trip. Maybe you could help me after you do yours. @Jason : I'm afraid about the money he might ask to visitors, plus, I've met a guy who trains at Samir Chantre's who said I could get in there for free, Chantre doesn't see like a very sloppy guy either. @snoop : Check your PM bro ! Cool! I for one would love to read you blog about that, especially as I'm heading to California too this year (planning on June). Although unlike my trip to Texas last November, it isn't solo, so I won't get in much training as that wouldn't be fair on my girlfriend. Still, I'm hoping to at least train twice in San Diego (definitely Fabio Santos, then probably Saulo). Might also get a chance to pop in somewhere in Los Angeles (not sure where as it would pretty much come down to location rather than anything else), but I'm not counting on it. Massive update ! Please help !